After scraping off the big chunks of dried on oil and dirt, I washed down the frame with a rag soaked in degreaser. I finished with a complete pressure washing and now the frame is nice and clean. 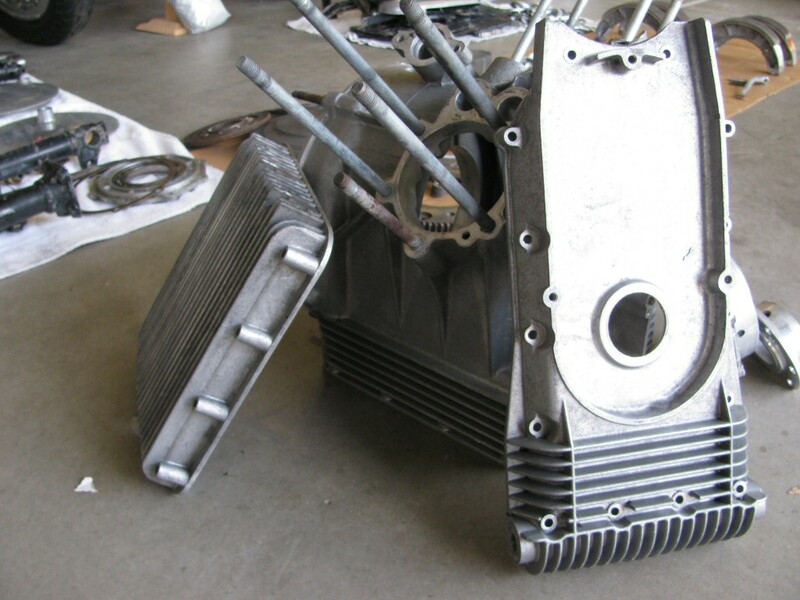 I completed disassembly of the engine and transmission and very thoroughly cleaned the aluminum cases (crankcase, timing chest cover, sump, transmission case, transmission rear cover) with degreaser and a lot of effort (hours and hours spent hunched over my parts degreasing container). Cleaning took a very long time as the cases were extremely filthy. A good blasting with my pressure washer helped get in the nooks and crannies. I'm very happy with how they turned out. If you are keeping score at home, you'll have noted that I've pretty much been spending all of my time disassembling and cleaning. 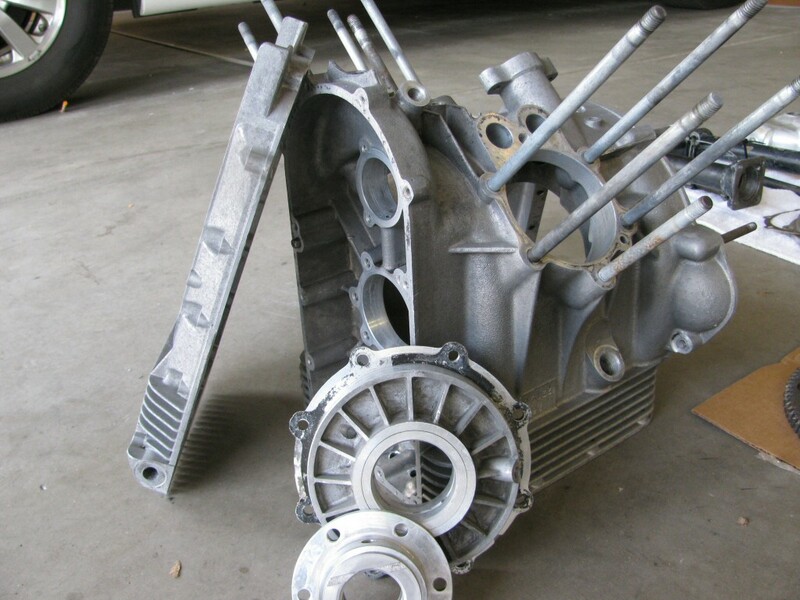 Disassembly is the quick and easy part. Cleaning requires real effort and a lot of time. I use good degreasing products and brushes, but it still takes a lot of time and effort.